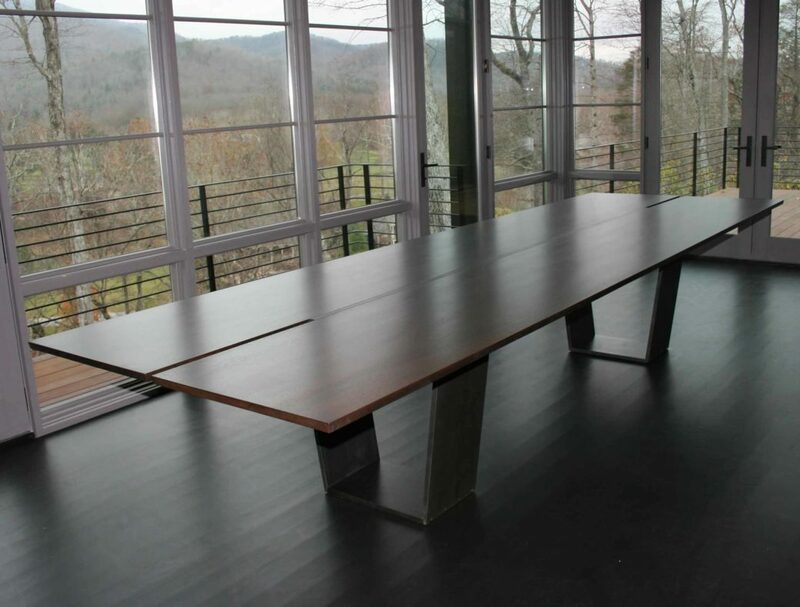 We built this twelve foot dining table for a new construction residence in the mountains of West Virginia. It was designed by the home’s architect, Chad Harding of Carlton Edwards Architecture. We built it with a solid, book-matched Sapele top, with a center steel spline. Sapele is very dense and hard and makes a good, damage-resistant surface for the table. It sits on a steel base by Daniel Marinelli. We delivered the finished table and installed it in the residence.